With bookings still available throughout December right up until Wednesday 23rd December, you can book the ideal Christmas lunch in Sheffield at Inox Dine. The lunches, served in the University of Sheffield’s fifth floor restaurant are available to both staff, students and members of the general public for just £21 for three courses. The Inox Dine team, headed by acclaimed Master Chef Joe Berry, have cooked up a menu oozing with Christmas class. 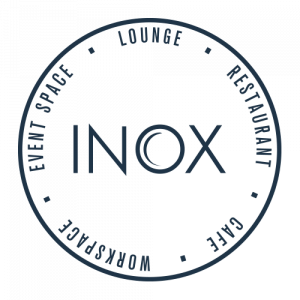 Louisa Critchlow, Hospitality, Event and Restaurant Manager at Inox Dine, believes the Christmas lunches offer the perfect excuse for people to wind down in the run up to the festive season. The Christmas menu has been created using only the finest locally sourced ingredients with the acclaimed Inox kitchen team bringing a unique twist to some festive favourites. The Christmas menu is also shaped to cater for vegetarians and pescatarians with festive meat-free and fish dishes included. You can view the full menu for the Christmas lunches in the events area of the site. Starters include Smoked Salmon and Cream Cheese Roulade served with lemon cream cheese, or a Roast Tomato and Lemon Thyme Soup. The main attraction, the Inox Christmas Lunch, includes locally sourced roast turkey with homemade stuffing, served with roast potatoes, seasonal winter root vegetables, sprouts and red cabbage. Vegetarians can enjoy a seasonal Roast Chestnut Mushroom and Hazelnut Parcel served with a range of seasonal vegetables. For dessert you can’t forget the classic Inox Christmas Pudding served with brandy sauce. The lunches run between 11.30am and 4.30pm, Monday to Friday with pre-booking necessary. To book your Christmas lunch in Sheffield contact the Inox Dine reservation number, 0114 222 6043 or by emailing christmaswithus@sheffield.ac.uk.